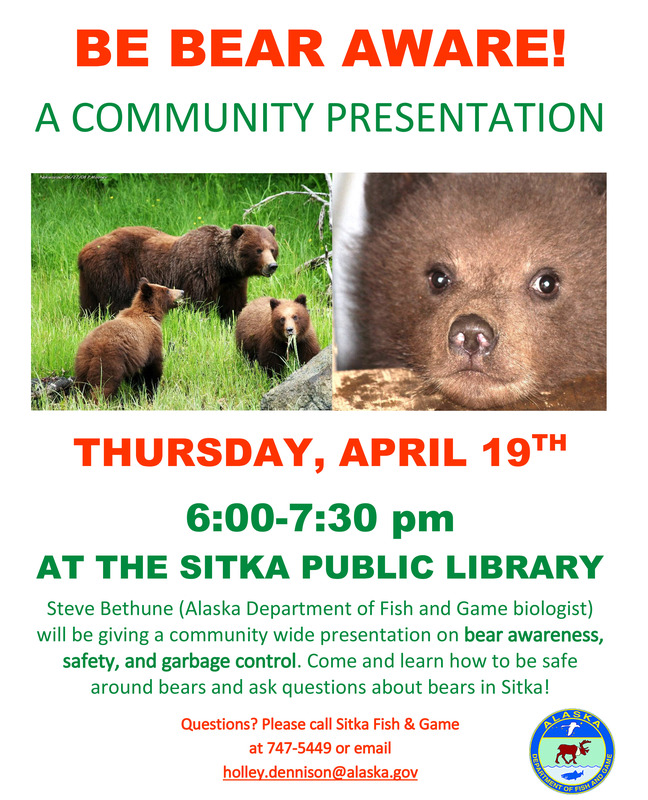 Alaska Department of Fish & Game to host ‘Bear Aware’ presentation at Sitka Public Library | Get Out, Sitka! Brown bears are beginning to stir on the outskirts of town, so the Alaska Department of Fish and Game (ADF&G) is reminding residents to practice diligent bear awareness. Residents should make household garbage unavailable to bears, prior to their arrival. Pro-actively removing attractants before bears emerge from hibernation will encourage them to seek natural food sources and help alleviate problems associated with food-conditioned bears later this summer. ADF&G regulations prohibit negligently leaving out food and garbage in a manner that attracts bears. Local ordinances prohibit putting trash out until the morning of pick up. Garbage: Store trash inside buildings or in bear-proof containers; keep it secured until the morning of scheduled pick up. To minimize garbage odors, bones and meat scraps should be frozen until the day of pick up or until the items can be properly disposed. Remind neighbors to do the same. Electric fences: Properly constructed electric fences are a highly effective deterrent to keep bears out of gardens, fish smokers, and away from chicken coops and domestic animals. Barbecues: Clean grills after each use. Pets: Feed pets indoors or clean up excess and spilled food between meals. Store pet food indoors. Never sic your dog on a bear. Bird Feeders: Take feeders down April through October. Gardens: Plant gardens in the open, away from cover and game trails. Compost only raw vegetable matter and turn it over frequently. Hikers, walkers, and joggers are reminded to be alert for bears, especially during early mornings and late evenings. Be safe and bear smart by traveling in groups and keeping dogs on a leash. ADF&G will be giving a free bear safety and awareness presentation at 6 p.m. on Thurday, April 19, at the Sitka Public Library. The community is invited to attend. For additional information and questions, contact the Sitka ADF&G office at 747-5449. 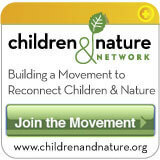 This entry was posted in Kids and nature, Outdoor events, Outdoor programs and tagged Alaska Department of Fish and Game, barbecues, Bear Aware, bear safety and awareness, bird feeders, brown bears, electric fences, garbage control, gardens, hiking, pets, Sitka Public Library, trash. Bookmark the permalink.